Further to yesterday’s post on Labour’s ditching of its statutory services pledge, Sue Robertson, a significant figure in youth work across the years, an IDYW supporter and a Green councillor in Brighton draws our attention to her party’s youth policies. Given our discussion at national conference about IDYW needing to defend both youth work and young people this range of progressive anti-austerity proposals has considerable merit. I think “has considerable merit” seems a bit grudging. What about “is very welcome”? I wasn’t meaning to sound so cussed so a very warm welcome it is. 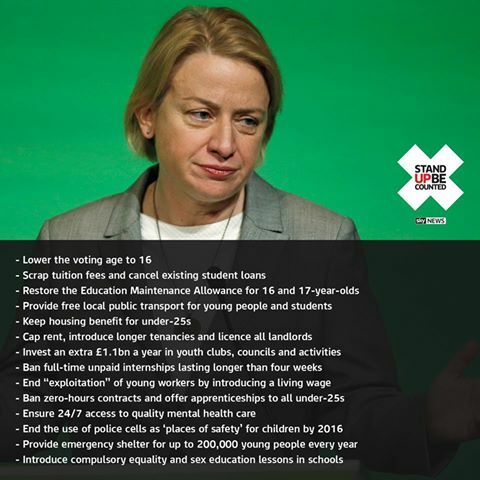 Thanks for finally writing about >Green Party Manifesto�s commitment to progressive �youthful� policies | IN DEFENCE OF YOUTH WORK <Liked it!